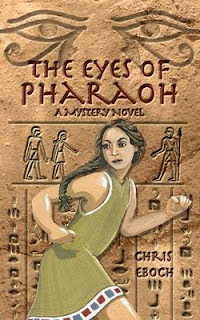 The Eyes of Pharaoh by Chris Eboch: This mystery set in 1350 BCE Egypt, for ages nine and up, introduces young readers to an ancient world. 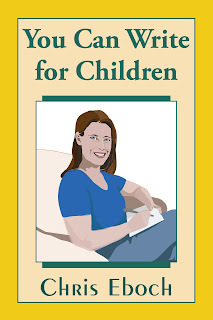 The dangers and intrigues of the time echo in the politics of today, while the power of friendship will touch hearts both young and old. 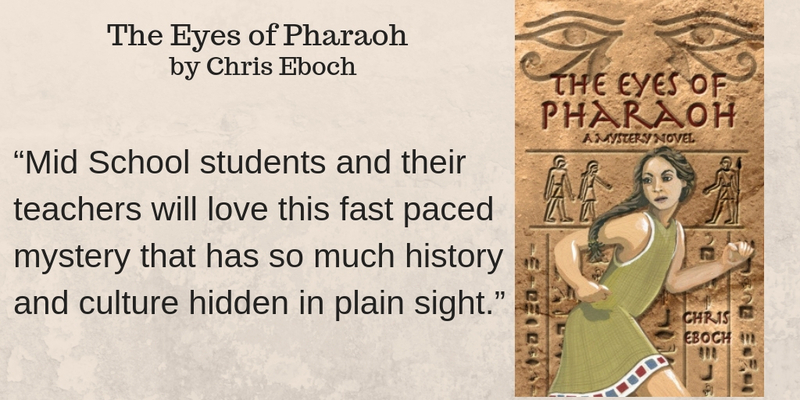 The Eyes of Pharaoh is ideal for use in elementary and middle school classrooms or by homeschooling students studying ancient Egypt. To help teachers in the classroom, extensive Lesson Plans provide material aligned to the Common Core State Standards. 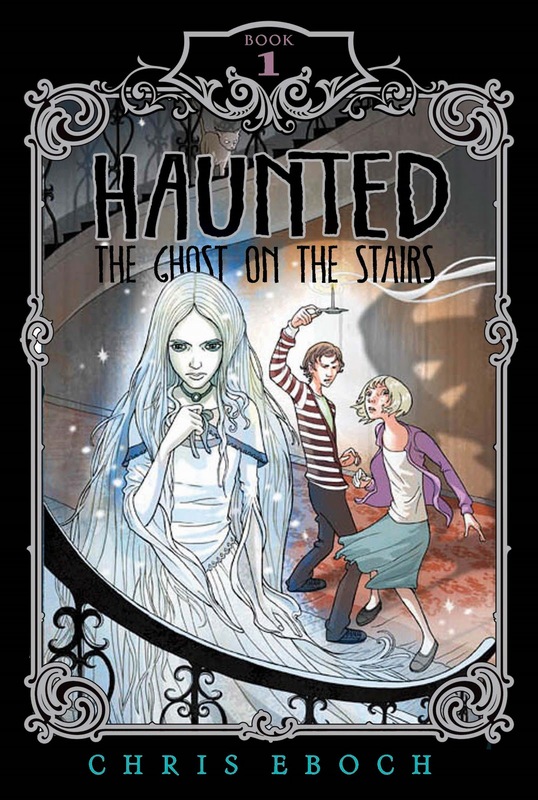 View them here. 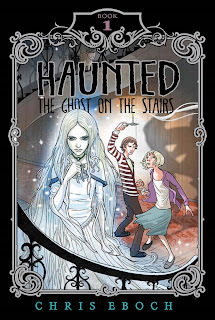 f you are a teacher or librarian interested in finding out if this novel would work in your school, contact me through my website to get a free digital copy for review. 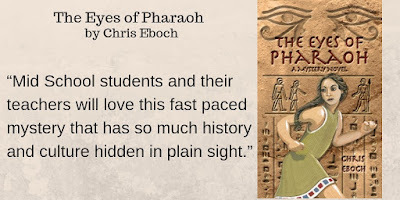 The Eyes of Pharaoh is available in paperback, hardcover, and e-book via book retailers and distributors, including Amazon. 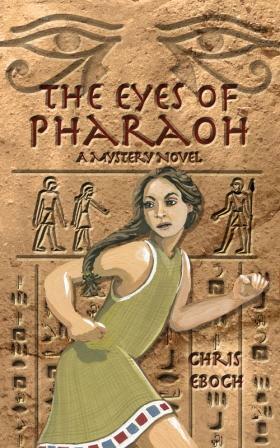 The Eyes of Pharaoh is sure to reach readers in the same way. 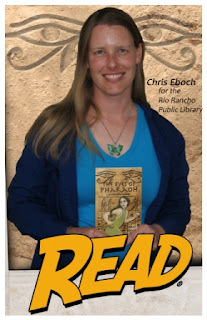 Ms. Eboch’s other titles include The Genie’s Gift, a middle eastern fantasy; the Haunted series, about kids who travel with a ghost hunter TV show; the fictionalized biographies Jesse Owens: Young Record Breaker and Milton Hershey: Young Chocolatier (part of Simon and Schuster’s Childhood of Famous Americans series); and many nonfiction titles. Learn more at www.chriseboch.com or my Amazon page.